Public accounting is the type of accounting where accounting professionals within the field will provide their services to clients of large or small firms. If you are currently studying accounting, or you are interested in enrolling in an accounting degree program, it is very important to distinguish between each type of accounting so that you choose the right specialty and the right occupation to pursue. Not everyone enjoys every area of accounting, and finding an area where you will work in the perfect setting performing accounting duties that you are interested in is important. If you would like to determine what you will do on a daily basis working in public accounting, read the brief public accounting profile below and decide for yourself. What Services Do Public Accounting Firms Offers? Now that you know that a public accounting firm offers clients within the firm a wide range of accounting services, the next step is determining what types of services are offered and what you could do on a daily basis. One common service offered in the industry is the preparation of personal and corporate annual tax returns. To benefit your clients, you will spend a lot of time staying abreast with current tax laws so that clients get all of the credits and deductions that they deserve. 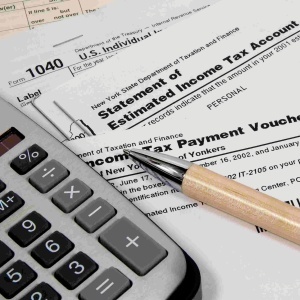 In addition to tax filings, a public accountant will also participate in tax planning throughout the year prior to the filing season so that clients can lower their tax liabilities. For companies in need of major planning, the term target planning is more appropriate. In addition to tax filing and tax planning services, a public accounting firm will also offer third-party auditing services. These services involve testing a client’s books for accuracy and validity. The entire purpose is to ensure that the company will meet all of the government reporting guidelines. In the end, the firm will receive a report that will let them know whether or not the company’s financial reporting is up to par. Companies may also decide to outsource its financial reporting to a public accounting firm so that financial statements are accurate. This is referred to as a general accounting service, and can save the company both time and money in the long term. What Do You Need to Do to Become a Public Accounting Professional? If you would like to work in public accounting, the best way to get hired with one of the big firms is to go to school and test to become a Certified Public Accountant, otherwise known as a CPA. To become a CPA, some states require that you possess a Bachelor’s degree in Business or a Master’s degree in Business with less professional experience. Be sure to check your state’s CPA requirements, and then map out your degree path so that you can fulfill these requirements as quickly as possible. Becoming a CPA will distinguish you and show that you are an expert in public accounting.